DIN A4 Stock Book with stamps motif contains 32 black pages. 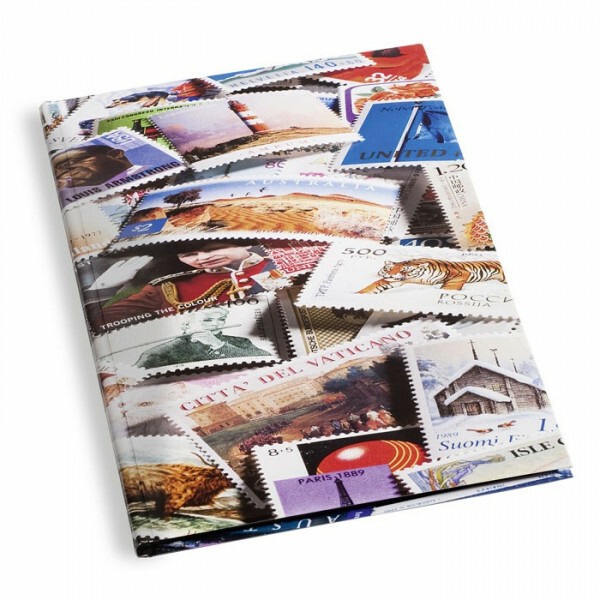 This Stamp Album Stock Book is a hard cover bound book and features a vibrant cover design with stamps from around the world. 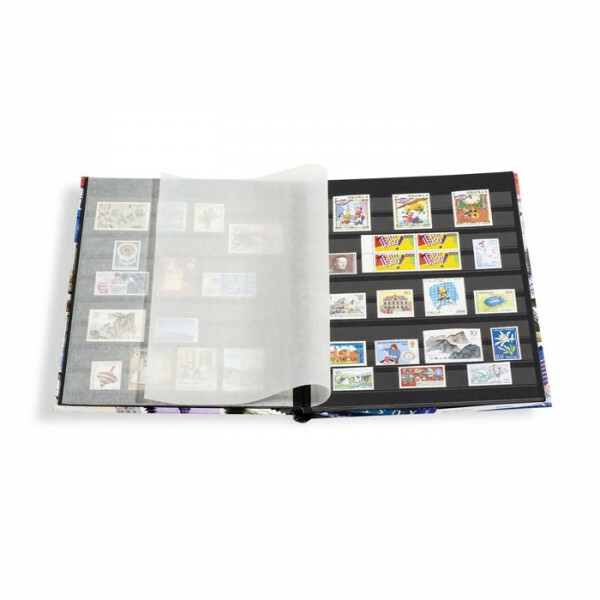 The Stock book contains 16 double sided black pages with glassing strips and interleaves. 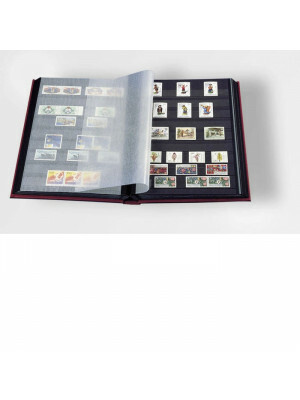 This Stock book is a great way to display and preserve your stamp collection.